The release of Grand Theft Auto 5 ignited a passionate discussion/argument between my boyfriend and me about why GTA has no playable female characters. Neither of us were surprised by the creators’ decision to ignore female consumers (because when is Grand Theft Auto ever PC?). Yet, I could at least acknowledge that the decision was problematic at the very least. Ryan could not. That pissed me off. I thought it was common sense: wouldn’t some female gamers want to play as a woman at least every now and then? I’m not a gamer, but I could imagine that it would be nice. Yet, some men can’t understand the problem with excluding playable female characters from the game. I failed trying to persuade my boyfriend why GTA and other games should be more inclusive. 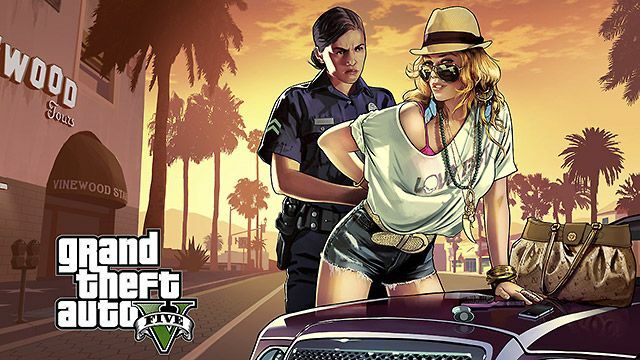 So I sent him this article: “Grand Theft Auto Continues to Treat Female Gamers Like Roadkill With Latest Installment,” which gives a number of reasons why GTA should not ignore it’s women consumers. And Ryan was convinced (Thank the Lord! Because was starting to question our relationship). So since I’m not well-informed about the issues female gamers deal with, I would like to share this very intriguing article. *And sorry for the lack of posts. I’ve been kind of drained, but I’ll be back to posting regularly now. post. Also, I have shared yyour site in my social networks! Hello There. I fohnd your blog using msn. This is an extremely well written article. information. Thanks forr the post. I’ll definitely return.